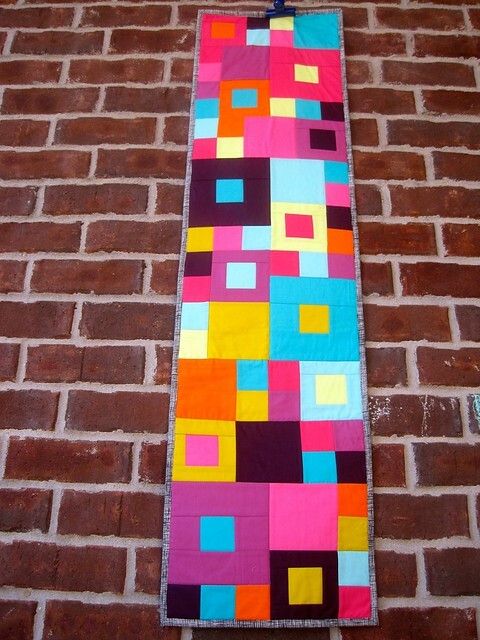 I used the leftovers from my Square City top (see previous post) for this table runner! I almost made placemats, but I just loved how all the blocks looked smashed up together! I used a strong black and white print for the backing (Bon Viant I think) and some Alexander Henry Heather for the binding! it looks great. :) really. i haven't used invisible thread before so i can't give a preference. it is a very pretty table runner though, i love it! such great colors! 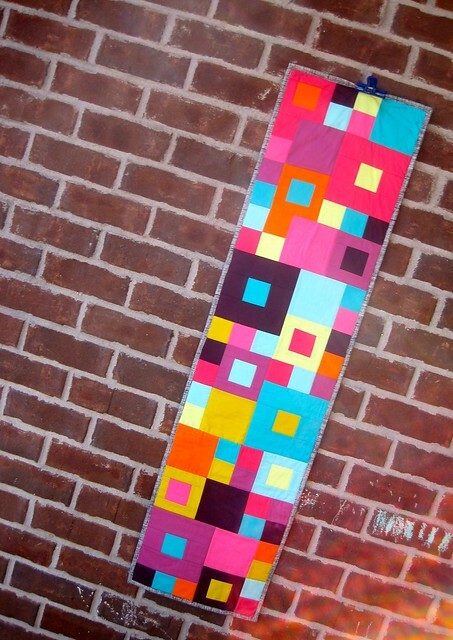 What a great table runner, perfect way to use scraps. 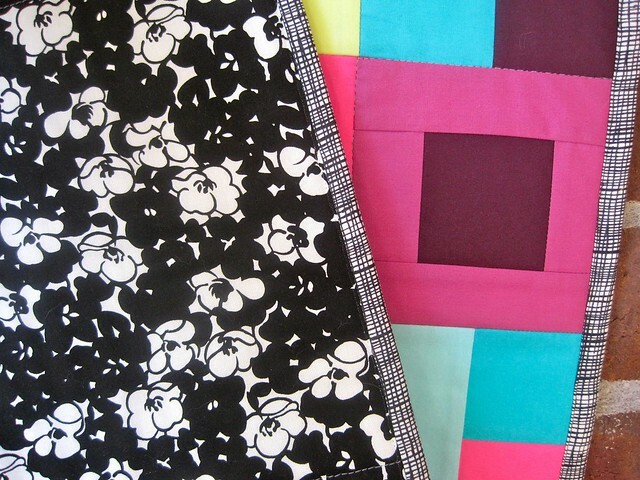 Gorgeous - love these bright colours together!! agreed! a very cool runner! That looks great Kelly! Such a good way to use up the scraps! The table runner is awesome! I love it, and the backing/binding choices rock! Ooh, love the table runner version too!